Northern Ireland's youngest circus performer will follow in his mother's footsteps next month when he is set to perform in the Tumble Winter Circus. Kaspar (4) from Ballyhackamore will be performing a solo trapeze act in his first leading role in the circus. The four-year-old's mother Tina Segner is a trapeze artist and Tumble Circus co-owner. “I’ve been training with Kasper since he was in my belly, and since he was born he loves hanging, spinning and being upside down,” said Tina. 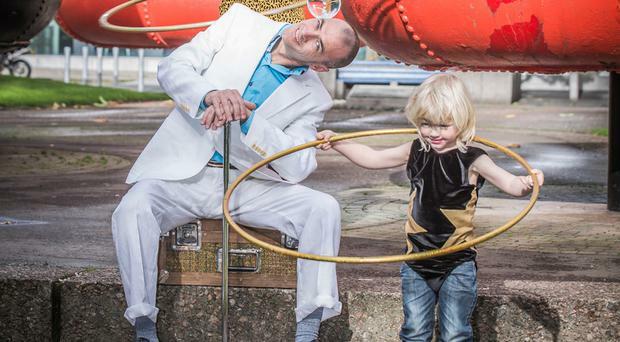 The Tumble Winter Circus will run December 14 - January 1 in a big top tent in Writer's Square, Belfast.